« Trying to decide which Netbook to buy? Rumored to be available on September 4th, the Dell Inspiron 9 specification is one of the web’s worst kept secrets. A number of blogs and sites have had “leaked” specifications and pictures of the new machine for some time, but the price has been an unknown. The folks over at UMPC portal have a very realistic looking price and spec sheet, showing the standard edition starting at $349 (no webcam, 512K of memory, 4 Gig SSD, running Ubuntu) to the $449 XP Edition (1Gig of memory, Web Cam, 8 Gig SSD). They also have a link to the full specification. 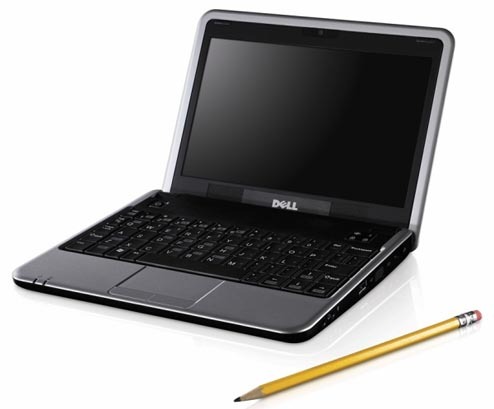 It will be interesting to see how Dell’s entry in to the Netbook world will compete against the established Netbooks already available from Asus, HP, MSI, Lenovo etc. If the price sheet is right, Dell won’t be the budget price champion.